Also known simply as Gozendani, the Gozendani Hohaisho prayer area is located on the north side behind the three peaks of Inariyama. In ancient times, there were two other buildings where worshipers came to give offerings to the deity. As the place where the valleys between the three peaks meet, this is an important place where visitors pray and worship the deities residing in the three peaks. 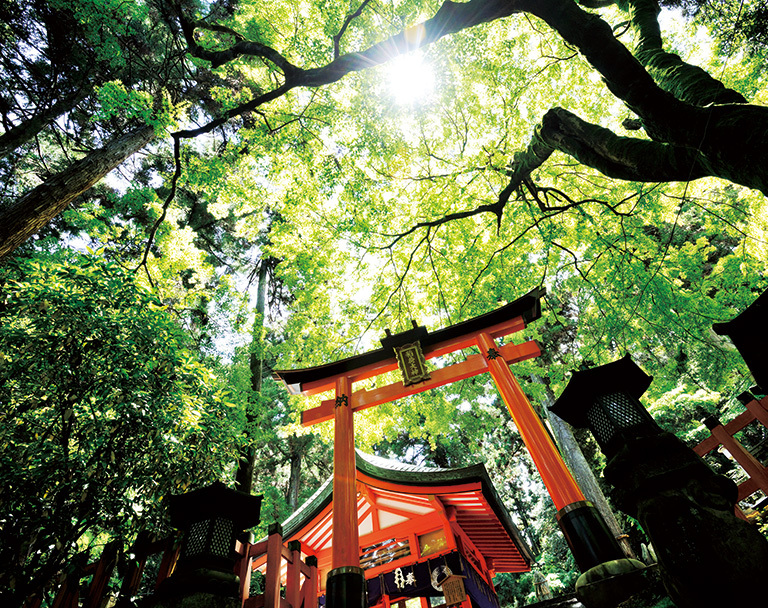 The Oyama-sai Mountaintop Ceremony is held at this sacred site on January 5th every year. There are various different stories about why this date was set for the festival, so the true reason cannot be determined. In the morning before the festival starts, a ritual called Shimenawa Shinji is held, with shimenawa rope tied on the tamagaki fences of the seven sites of former shrines on Inariyama (the outer fences around the sites). This interesting ritual expresses anticipation of the First Day of the Horse in February, one month later. 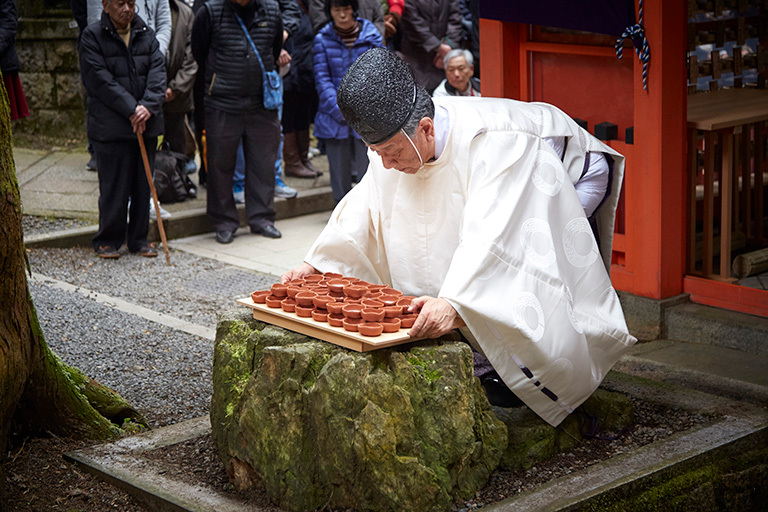 Nakakumi sake is poured into old imidoki earthenware and offered to the deity on a sacred stone called Mikeishi measuring about one square meter. This celebration dates back to ancient times. After the ceremony, the officiants put club moss (hikage no katsura) around their necks like necklaces before making a pilgrimage to the sites of former shrines on Inariyama. Otsuka Taisai ceremony First Day of the Horse in February (lunar calendar) The first Day of the Horse in February in the old lunar calendar has been a celebration day since ancient times, as it is the day on which Inari Okami was enshrined in Inariyama. The Otsuka Taisai ceremony is held in the Gozendani Hohaisho prayer area on this day to celebrate.